Former Brazil striker, Ronaldo Luis Nazario de Lima, has lashed out at Barcelona over his time at the club. Ronaldo claims that Real Madrid fans made him feel more welcome when he played at the Santiago Bernabeu. He played at the Camp Nou between 1996-97 under Sir Bobby Robson and featured for Real between 2002-07. 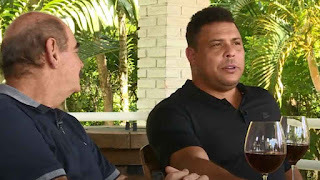 “I felt much more happy and more connected to Real Madrid, despite having lived a great year in Barcelona,” Ronaldo told Esporte Interativo. “In the end, my history with Barça was very bad, similar to the one Neymar had.